Greenlawn Landscaping is a women owned and operated landscaping company, serving Chicagoland since 1950. 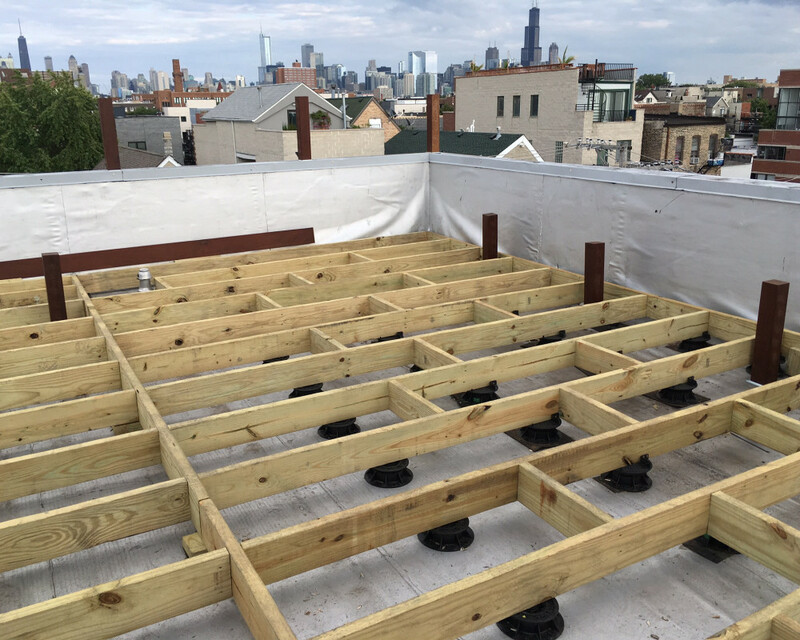 We offer full service maintenance and design-build service, including green roofs, lighting, hardscaping and roof decks. 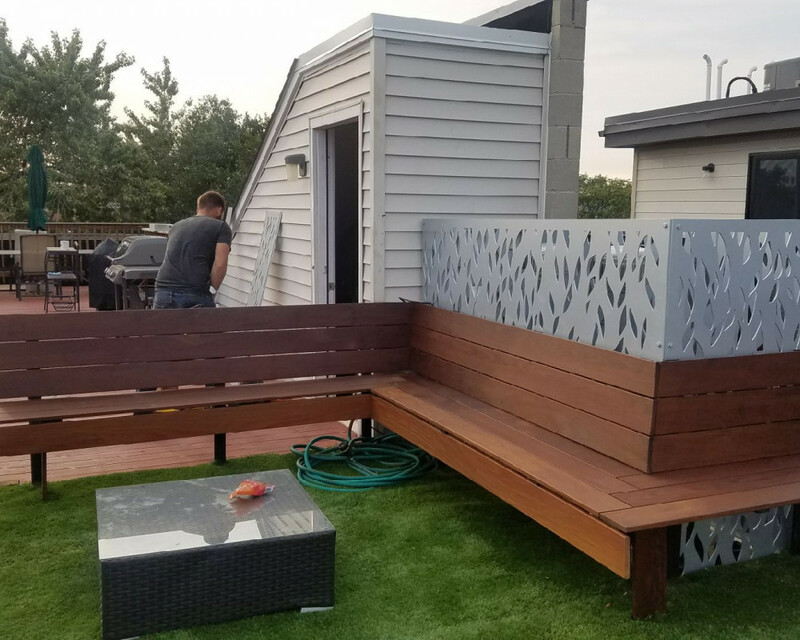 We installed a ‘lawn,’ built in ipe bench seating, ipe post and cable rail fence system, and plasma cut aluminum screens to disguise roof vents.